Painted in a sunshine-orange hue and dressed with white columns, the cluster of Dream Villas’ privately-owned 4-bed villas look bright and fresh against the green and brown colour palette of the Taurus mountains. 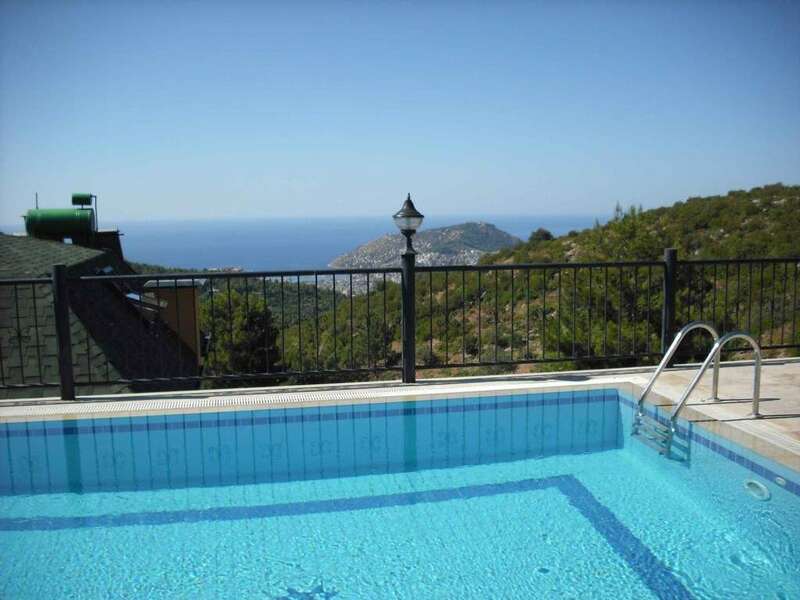 Built into the side of a hill, they are managed by a family-owned rental company, 5 Star Villa Holidays, who routinely maintain the pool and the gardens (which have lovely orange and lemon trees whose fruit you can pick), so they are pristine and ready to use every day. The location feels remote, and car hire is essential. Alanya town is only around a ten-minute drive away through winding, sometimes steep, hilly roads. Though this can be a little daunting at first, this soon fades as soon as you see the views over the Mediterranean Sea from the living space, the bedrooms and especially from around the pool. The remote location in the hills offers privacy and a sense of escape that couples or extended families who want to spend quality time together would appreciate. White-washed walls and marble flooring throughout give the living space and all four bedrooms a sense of bright and airy spaciousness. The master bedroom has an en-suite with a jacuzzi and there are two more bathrooms to share. A friendly welcome is always reassuring, and so you will be met by Keith, who works full time for the company, to offer a helping hand, hand over keys, and show you around the villa. The open-plan kitchen and dining room is fully-equipped including a dishwasher, and though not included in the rental, there is a BBQ for hire for al-fresco mealtimes. The wide screen TV has several English speaking channels. The pool is accessed from the living room with several sunbeds on either side. There is a supermarket a couple of minutes drive along the mountain road. However it’s best to stock up at a main supermarket on the way from the airport. 5 Star Villa Holidays will assist with transfers (not included in the rental) and can provide a handy shopping list with Turkish words. The buzzing Alanya town and its beaches is around ten minutes drive away. However, there is a small supermarket and a restaurant a couple of minutes away. There’s lots to do in and around Alanya and several excursions to chose from. These are listed in a book you will find in the dining room and Keith can arrange these for you.